They say everything's bigger in Texas, and there's nothing bigger than the blues heritage. It's a history that rivals its cousins in Chicago and Memphis. Texas has its guitar heroes, not least of which is Johnny Winter, Bill Gibbons, and the legendary Stevie Ray Vaughn. 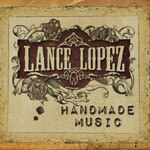 And here's another to add to the list: Lance Lopez with this sixth album, Handmade Music. Above, Lance Lopez: yeah, he's pointing at you. 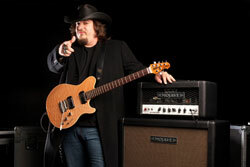 Lopez strays little from his pure blues rock roots. Handmade Music doesn't channel Hendrix as much as his earlier works. He has a riveting style, equal parts entertainement, inspiration, and fireworks. On this disc you get a great sampling of the blues genre. The album opens with pure Texas blues boogie of Come Back Home, which would make that 'little 'ol band from Texas' quite proud. There's the slow burn of Dream Away. But also the catchy friendliness of Let Go or Letters (while the subject matter is somber blues stuff), the smoldering rock of Get Out and Walk, and groove busting blues of Your Love. Lopez offers a stirring instrumental in Vaya Con Dios. Yet the most striking stuff is the hearty blues in the gritty Black Cat Moan or the classic style of the closer, Lowdown Ways. 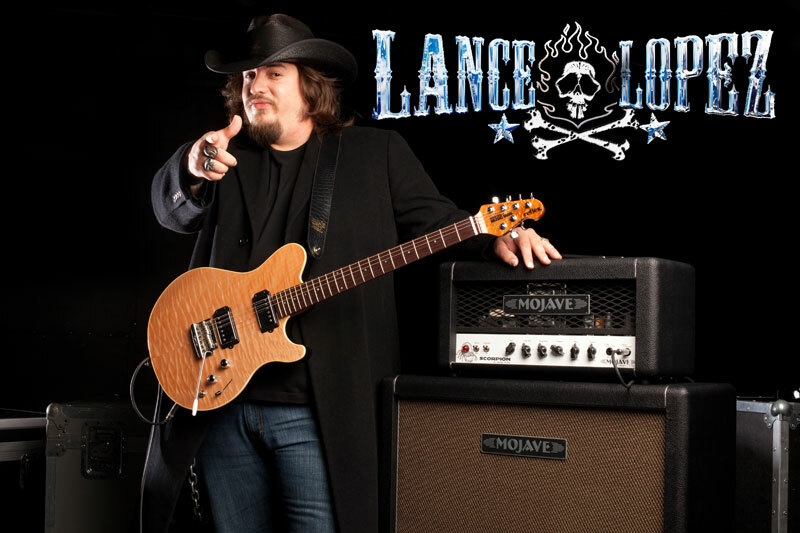 If you dig the blues, and an artist who knows the breadth and depth of the style, then you need to discover Lance Lopez and his latest Handmade Music. Mighty fine stuff!